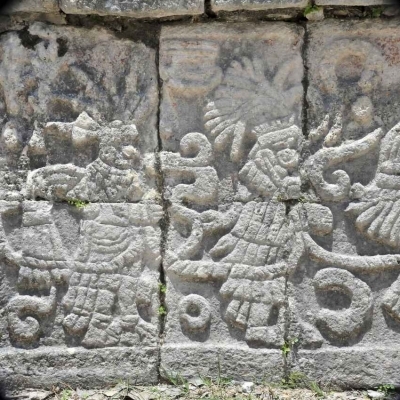 Mayan history has been traced back to around 2600 B.C. 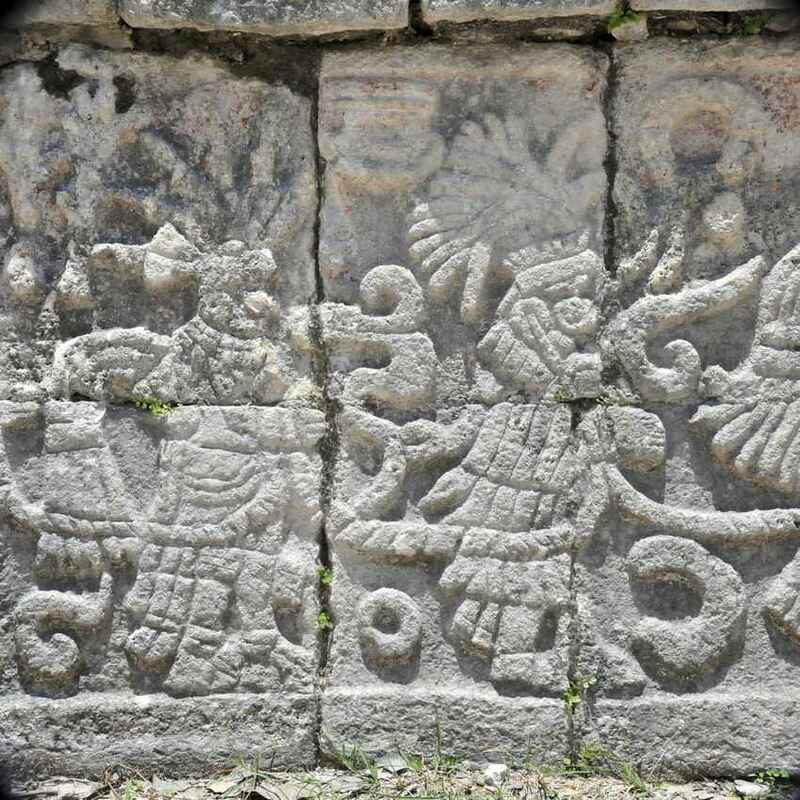 The Mayans were a relatively advanced society that occupied much of the Yucatan Peninsula and the area surrounding Playa Del Carmen. 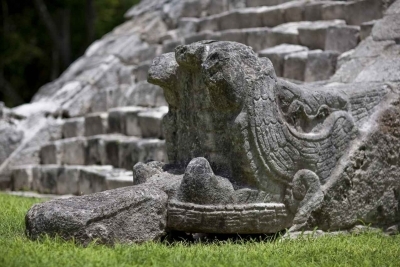 The Mayans left a whole bunch of ancient sites that are worth exploring. The most popular sites that include pyramids are Chichen Itza, Tulum, Coba, and Ek’ Balam. All of these are available for visit via tour. 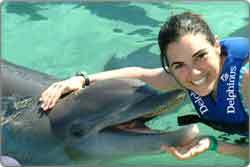 Tours come in many options and flavors, so it is best to contact an expert to decide which tour is best for you. Tour prices range from $50 USD per person for a basic group tour all the way up to several hundred dollars per vehicle for a private tour. Most of the tours include an archaeologist as a tour guide. 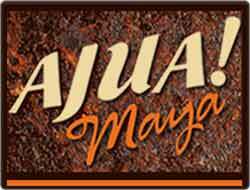 If you want to visit one of the several Mayan Pyramids, fill out the contact form below. Your name and contact info will be sent to Erika, the local Mayan Pyramid expert here. Erika is one of the most fun and friendly people in the city. You’ll love her!!! I recently met a rather overweight bunch of English guys on the beach in Playa Del Carmen and asked them if they had seen the pyramids. They laughed and said if it didn’t involve a pint of beer and a dose of sunburn they weren’t going to do it. “What about the Mayan culture?” I screamed! I know that most people aren’t like this. But there is something about the combination of beach and beer that turns normal men into cultural reprobates. Once they see the sand they’re only interested in bikinis and beach volleyball. So, as a long term resident of Playa Del Carmen, I feel I must defend and promote the Mayan pyramids. If you come to Playa Del Carmen and miss out, then I actually feel sorry for you, really. 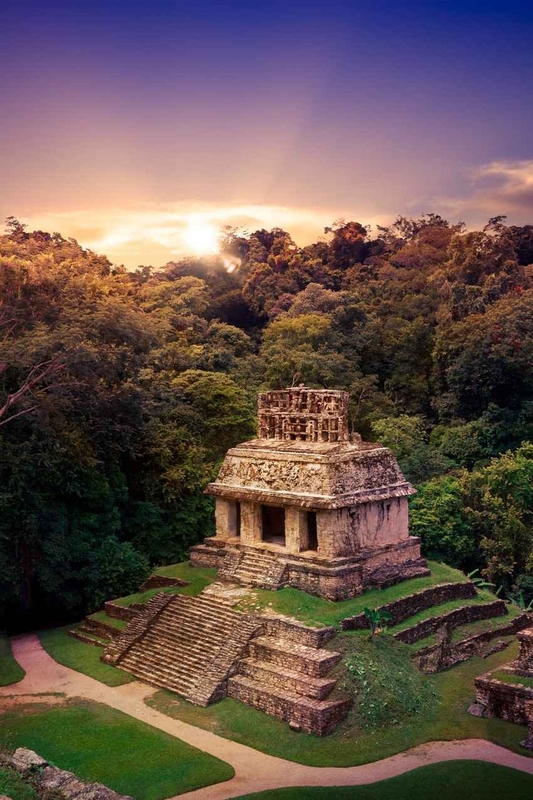 The Mayan have been traced back to around 2600 B.C., and they lived throughout the whole region that is now Central America. While Jesus and Moses were getting famous in Jerusalem, the Mayans were creating a completely different society on this side of the world. Before their Western counterparts, they had developed systems for astronomy and math. They also had a fully developed written language. From A.D. 250-900 they peaked, and great Mayan cities existed throughout Mexico and the rest of Central America. Nobody can agree on what caused their decline. But a combination of disease and the arrival of the Spanish is generally blamed. Didn’t The Mayans Think The World Would End? Many people believed a load of hype about the Mayans. Everyone thought that the Mayans predicted that the world was going to end on December 21st 2012. 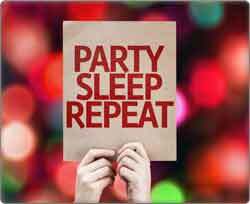 I just used it as an excuse to get wasted and party hard for a few days. Some people went much further and barricaded themselves in bunkers with cans of beans. Psychos! The world didn’t end and now everyone believes the Mayas were fools. It’s true that December 21st 2012 was the end of the Mayas 5,125 cycle. Okay, some people fell for the Y2K hype (including myself), but the transition to a new century/millennium went quite smoothly. Just like we celebrated a new millennium, the Mayans would have celebrated the next 5,125 cycle – not the end of the world. At the center of their cities, the Mayans constructed huge pyramids. These pyramids are surrounded by ancient pillars and ruins. The pyramids in Egypt are well known all over the world. Mayan art and pyramids even make great tattoos to get in Playa Del Carmen. 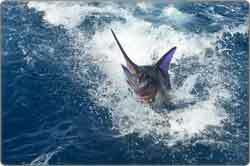 But the ones near Playa Del Carmen are equally as impressive, even if they don’t get anywhere near as much publicity. 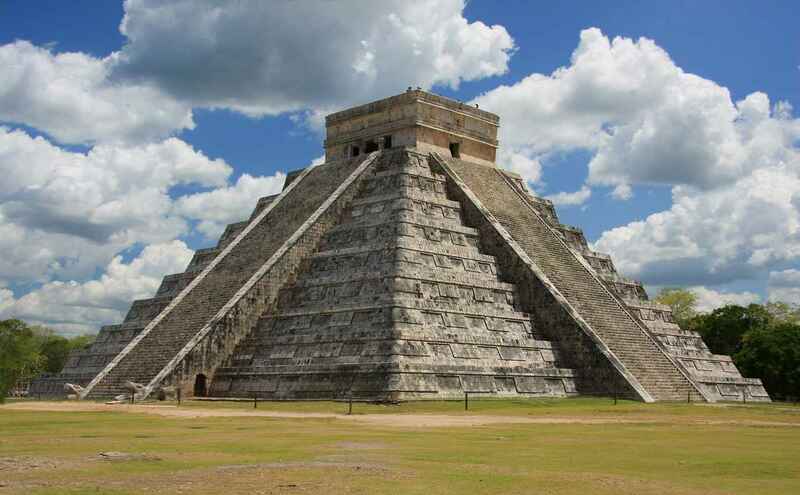 Chichen Itza is so impressive it’s been named as one of the new seven wonders of the world. Some of these pyramids reflect astronomical events and they would align with planets and the sun at times like the equinoxes and solstices. 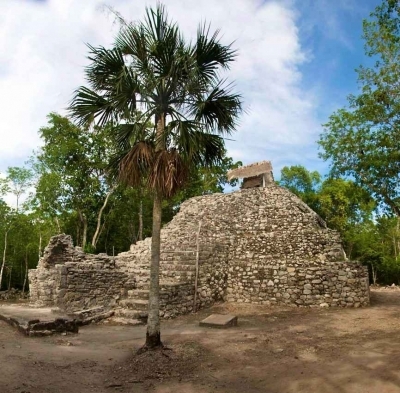 Which Mayan Pyramids Can You Visit Near Playa Del Carmen? There are four really important Mayan ruins and pyramids. I’m not saying you need to visit them all, but spare at least one day to visit some of them. Whichever pyramid you visit you’re going to need good walking shoes, a good camera, a sun hat, and plenty of sunscreen. 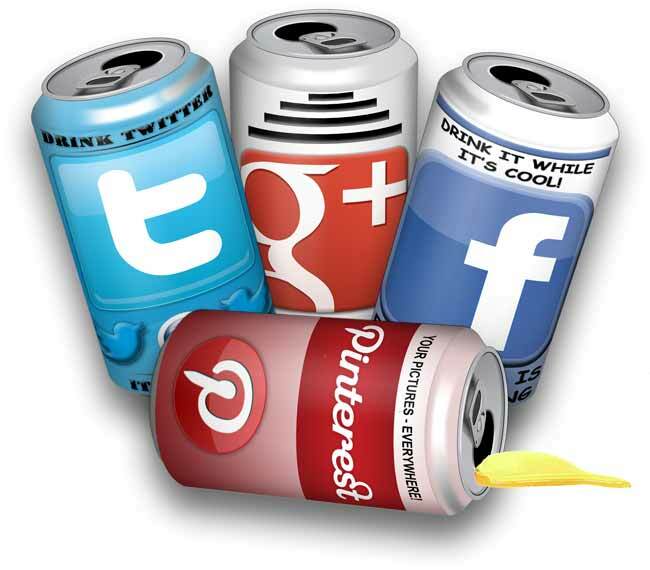 Here’s a brief on the four different sites. The new wonder of the world is the absolute must see of the whole bunch. It’s about a 2.5 hour drive from Playa Del Carmen. It was one of the largest Mayan cities and El Castillo, the central pyramid, is the largest you can find. There is an impressive sense of grandeur throughout the whole site, and you could spend a full day exploring the many different ruins. This was a city that was once home to 50,000 people. It is Mexico’s most visited tourist attraction and for good reason. While it can get crowded there simply isn’t anywhere that can compare to Chichen Itza. While El Castillo is the one in everybody’s photos, I actually think the Temple of the Warriors is equally as impressive as a pyramid. 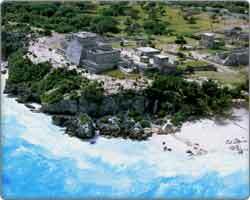 Tulum was a walled sea port and the ruins are situated on a cliff top above the jungle. Overlooking white sand and palm trees its location is stunning. Dating back almost 1500 years, the ruins have a vivid history that’s worth exploring with a local guide. Tulum is a good choice if you’re one of those beach bums that isn’t too fussy about sightseeing. You get to explore the ruins and see what the rumors are all about. 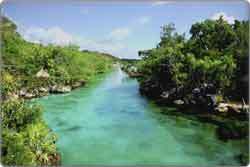 Then you head down to Tulum beach, which was ranked as the No 4 beach in the world by National Geographic. 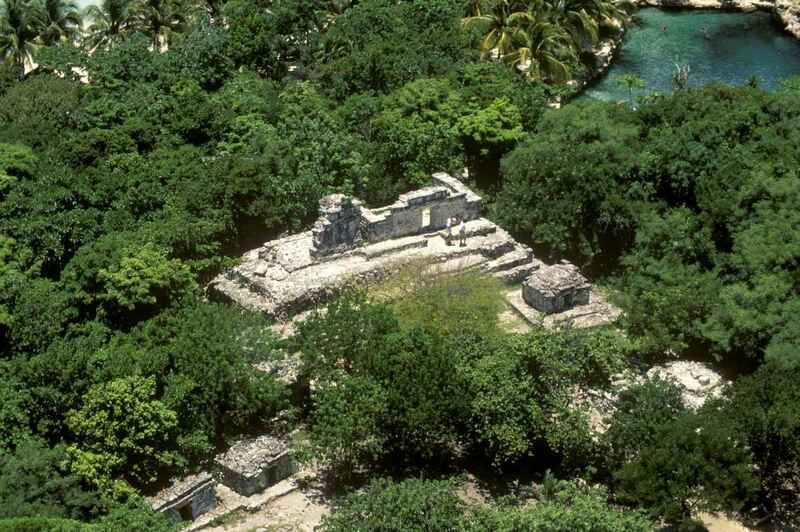 This is the largest of the Mayan ruin sites around Playa Del Carmen and much of it is still being discovered. Situated around two lagoons they’re my favorite ruins because there are many different pyramids to explore. 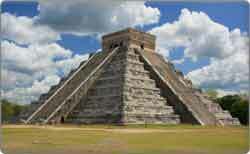 Unlike Chichen Itza you can also climb the pyramids, the highest being 45 yards. Rather than everything being neatly preserved, many of these ruins are visibly crumbling, and I think this adds a bit of ancient charm to the trip. Surrounded by, and growing out of the jungle, Coba is 1.5 hours from Playa Del Carmen on the other side of Tulum. It’s off the beaten track but absolutely worth visiting. This is the least visited of the four different sites, but that doesn’t mean it’s less impressive. Dating back 2000 years, it’s arguably the best preserved of the four sites, and from the top of the Acropolis Temple, you’ve got views that stretch for 30 miles. Many people combine a visit to Ek’ Balam with a trip to nearby Chichen Itza. The lack of crowds make wandering around the ruins very peaceful, and they’re aren’t any camera-wielding Japanese tourists to ruin your photos. 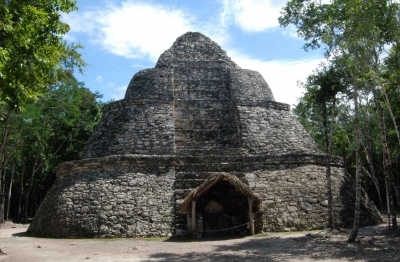 How Do I Visit The Mayan Pyramid Sites? If you want to visit the Mayan ruins you’re going to need some transport. Unfortunately, the Mayans weren’t thoughtful enough to leave their ruins on a 21st century bus route. Most people go on a tour with a local tour company. There are many individuals and companies offering very similar tours. They take you to the ruins, give you some lunch, and there’s an English-speaking guide. Entrance price to the ruins is included. There is a plethora of extra activities that you can combine the ruins with. 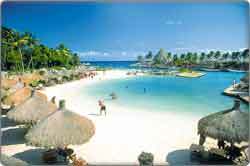 If you’re already in Tulum why not spend the afternoon at Xel-Ha? 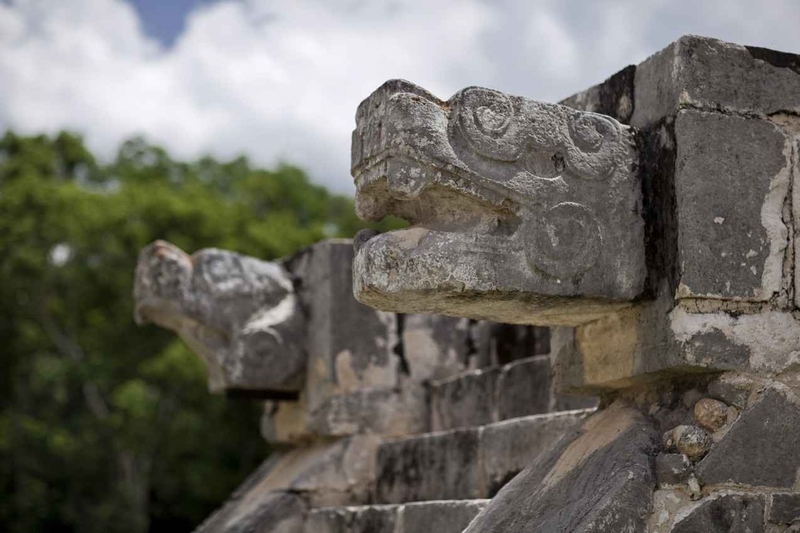 You can also combine Chichen Itza with Ek Balam. Another option is to rent a vehicle for the day. If you have a group this can be a cheap option and allows you to run your own schedule. These ruins are in vast areas of wilderness so you shouldn’t wander off into the jungle pretending to be Indiana Jones. When buying souvenirs don’t flash big wads of cash around and attract attention. Pickpockets and petty theft has been reported, so leave anything you don’t need at home and use a camera strap. How Much Do The Packages To The Maya Pyramids Cost? Prices for these tours vary across the board. Tulum is the closest and you can get a tour here for just $40 USD. The cheapest Ek Balam tour is around $70 USD. 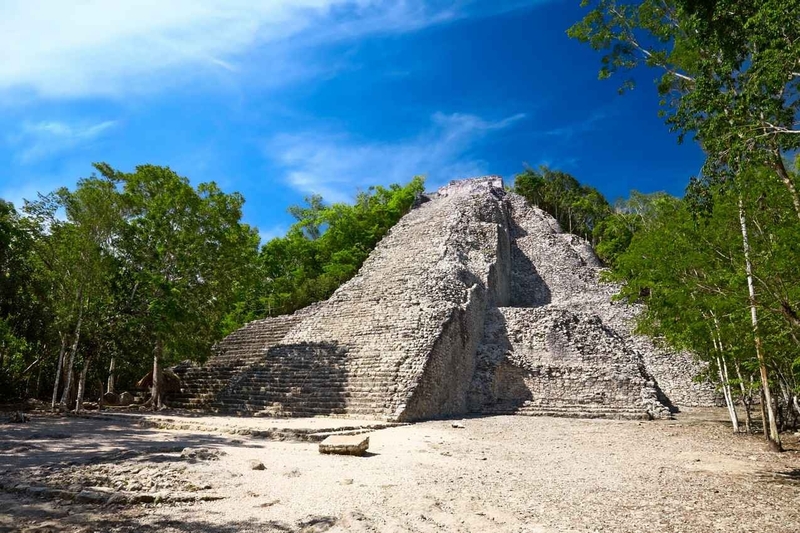 For Chichen Itza and Coba expect upwards of $45 USD per person. These are on group tours with other passengers. If you already have a group of four or more it can work out cheaper organizing a private tour. 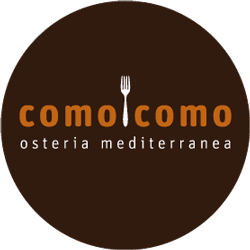 The advantage of the combo tours is that you get big discounts on the second activity. 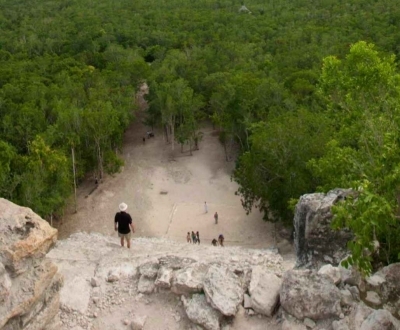 Visiting Tulum and Coba separately would cost almost $100 USD, but together you can get the tour for $69 USD per person. 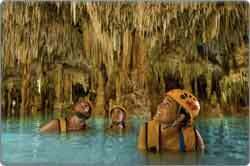 Likewise, when doing a ruin tour you can get $30 off a Xel-ha admission ticket. 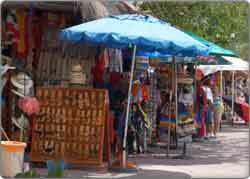 As is often the case in Playa Del Carmen, ask around for information and different prices and find the tour that suits you. I do hope I’ve convinced you to visit the Mayan pyramids around Playa Del Carmen. If you can only pull yourself away from the tequilas and sunbathing for one day, then make sure it’s for a pyramid. 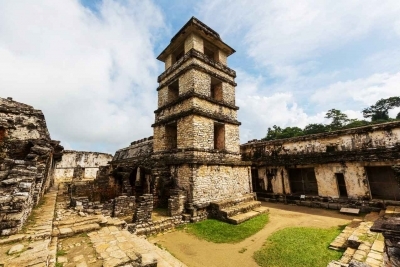 Each Mayan pyramid and site has a different appeal. Chichen Itza is the biggest and most impressive. Tulum has the best location. 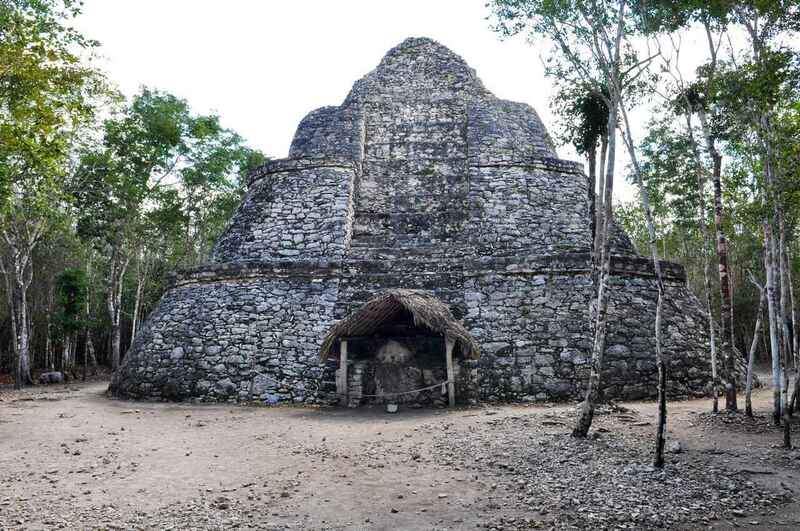 Coba is most atmospheric as it’s in the jungle. And Ek Balam feels like the most natural and relaxing. 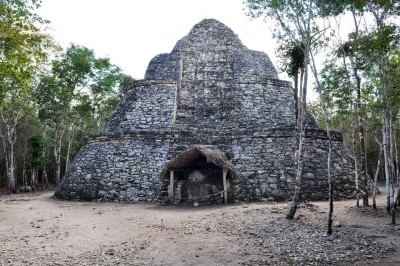 So whatever you’re into, you’ve got a Mayan pyramid to visit! I hope you send me some pictures from the top of one of these pyramids! It’s your turn! 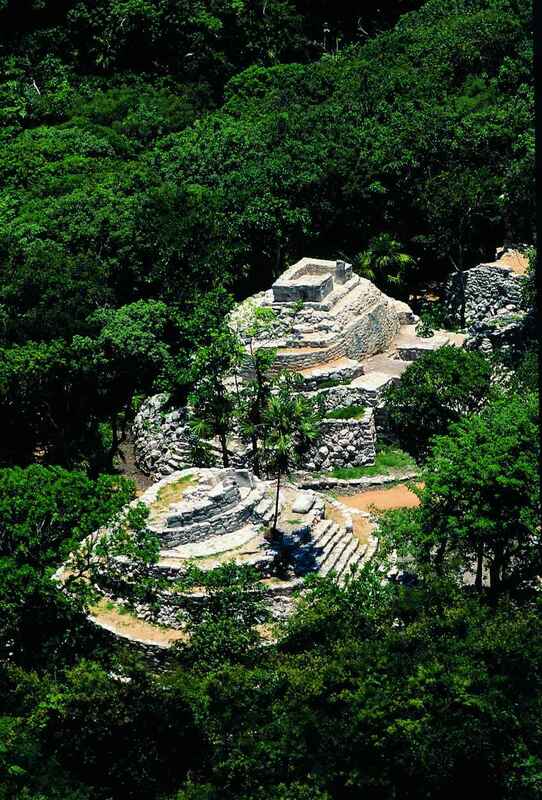 Have you explored some of the Mayan pyramids around Playa Del Carmen? Tell us about your experiences in the comments section below!